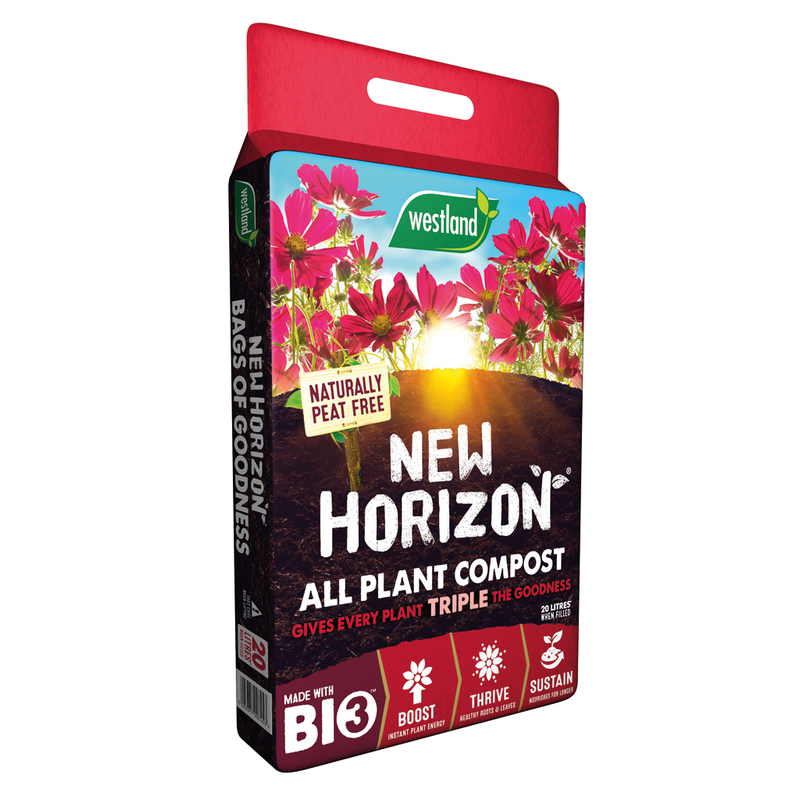 New Horizon All Plant Compost is a naturally peat free formulation that gives every plant triple the goodness. 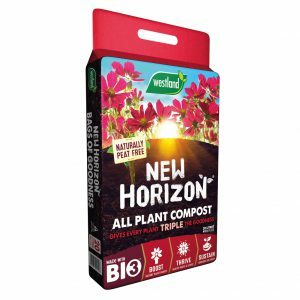 100% peat-free – 100% sustainable – Guaranteed results! 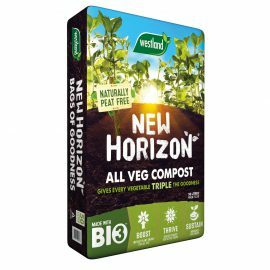 New Horizon All Plant Compost has been specially created to be the perfect compost for all fruit and vegetables, herbs, & seeds. 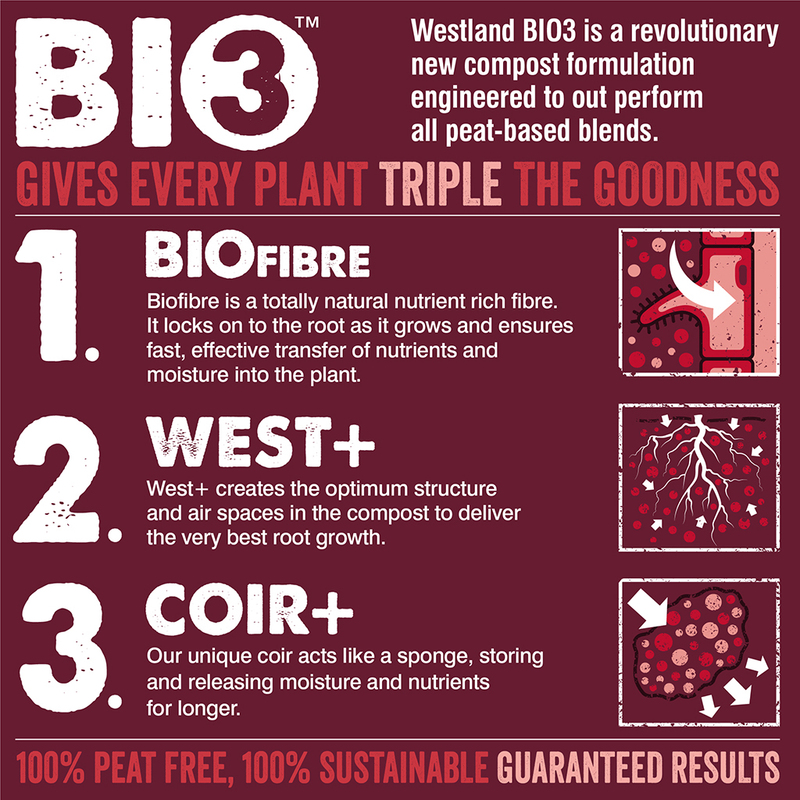 Westland BIO3 is a revolutionary new compost formulation engineered to out perform all peat-based blends. 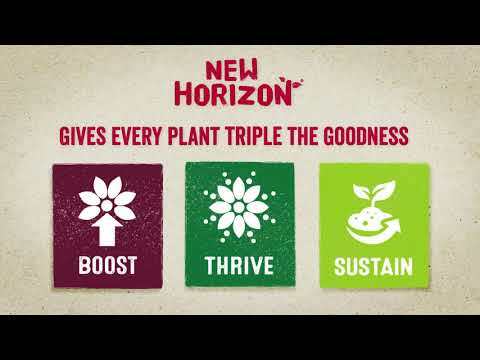 The ingredients start nourishing the plant immediately. 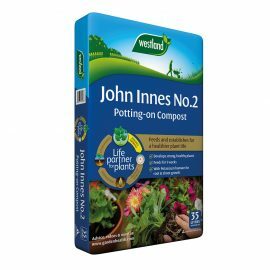 Works best with seedlings, containers, fruit and veg and herbs. Not suitable for ericaceous plants. 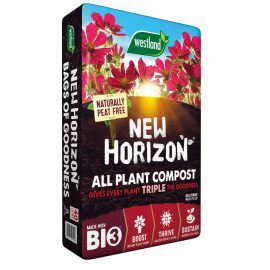 You will get great results with this compost. 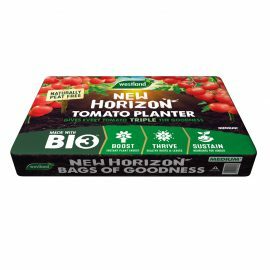 After 6 weeks, we recommend supplementary feeding of nutrient hungry plants with a relevant feed such as Westland’s Big Tom Super Tomato Food. Q. 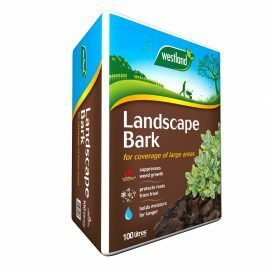 Will my pets or wildlife be attracted to this product? Q. 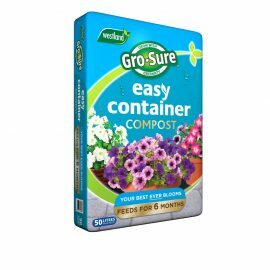 Can I use this compost for my houseplants? A. 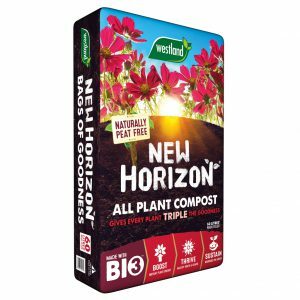 New Horizon All Plant Compost can be used with houseplants. 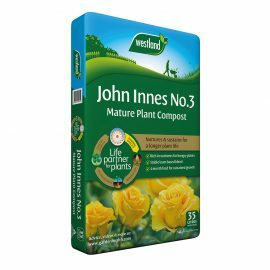 However you may want to choose a compost that is more specific to your requirements—for example our Houseplant potting mix. Q. 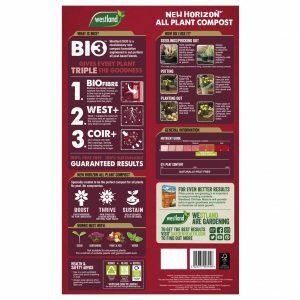 Can I use this compost for indoor and outdoor grown fruit and vegetables? A. Yes, you will get great results with this compost. 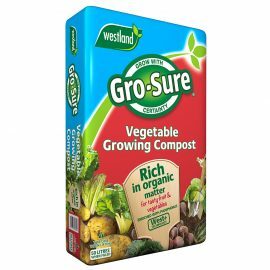 After 6 weeks, we recommend supplementary feeding of nutrient hungry plants with a relevant feed such as Gro-Sure Tomato Food.